Love these photos! 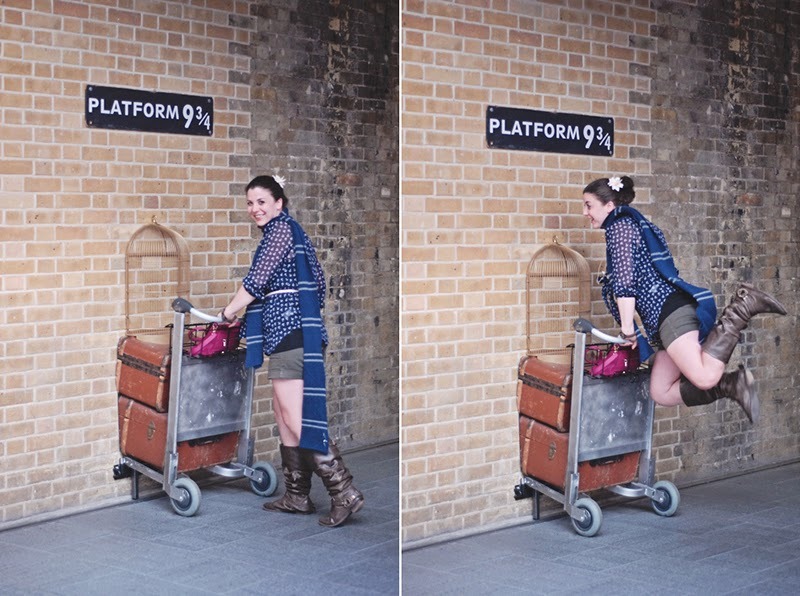 Never been to Platform 9 and 3/4 but it’s on my to-do list! So much fun!!! 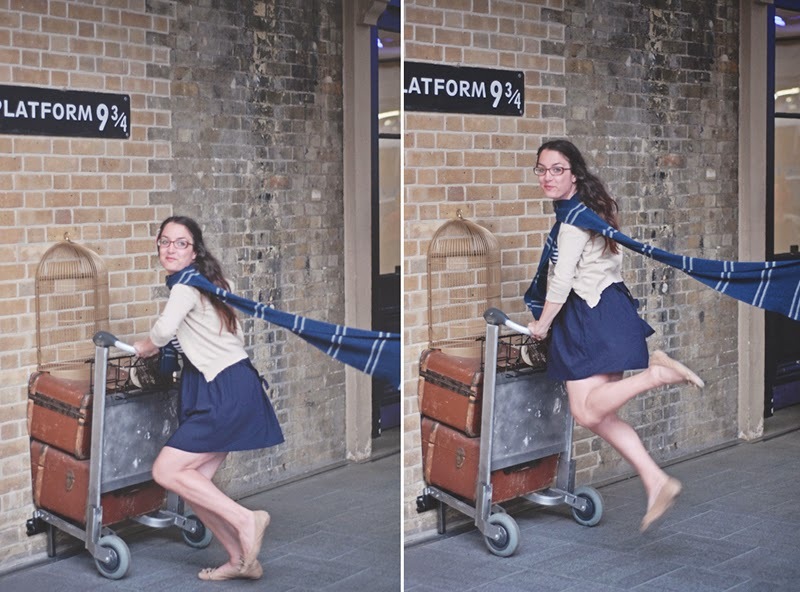 The next time I’m in London I’m putting seeing Platform 9 and 3/4 on the top of my must-see list! Oh…just thought. Maybe we can schedule something in 2014 and take our kids, that would be fun! 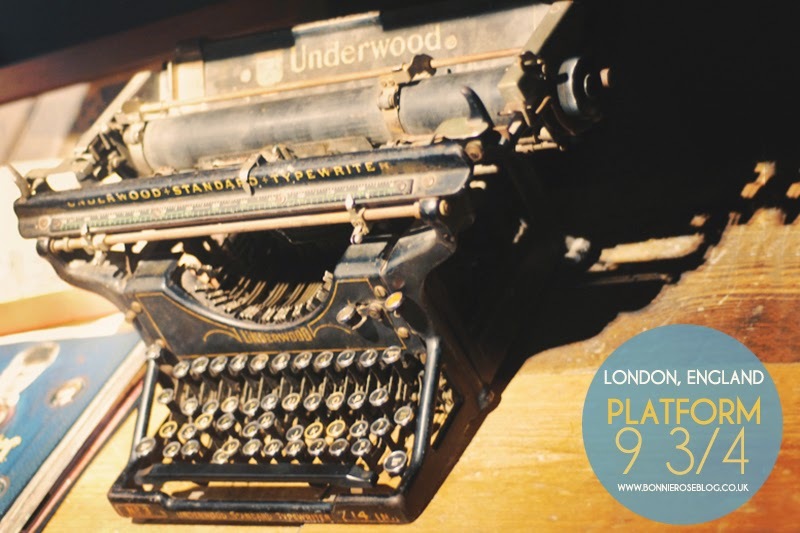 I’m so looking forward to hopefully getting to the London blogger meet up next month! ah, this is my DREAM! 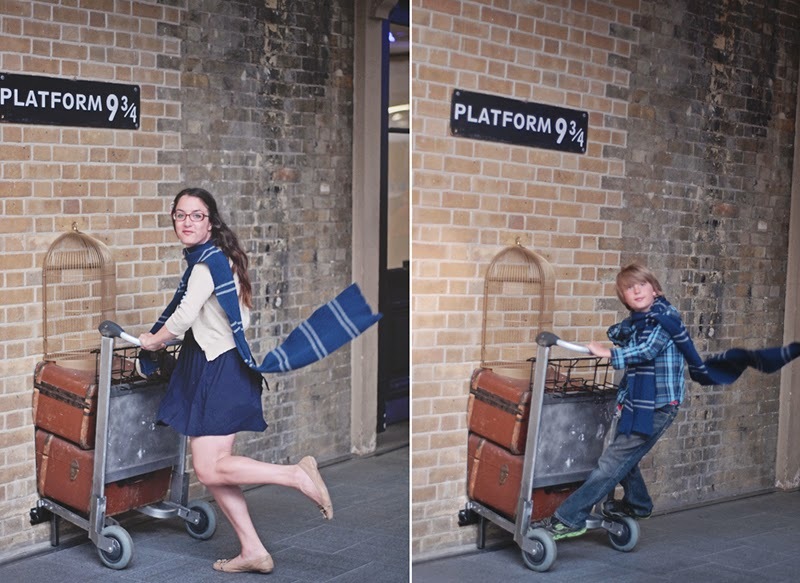 I’m a huge fan of Harry Potter and I wish to do this someday! Thanks for the tips. I love your photos! And it’s so cool that you have 3 generations of HP fans. I’ve been to london loads and still haven’t been to this! 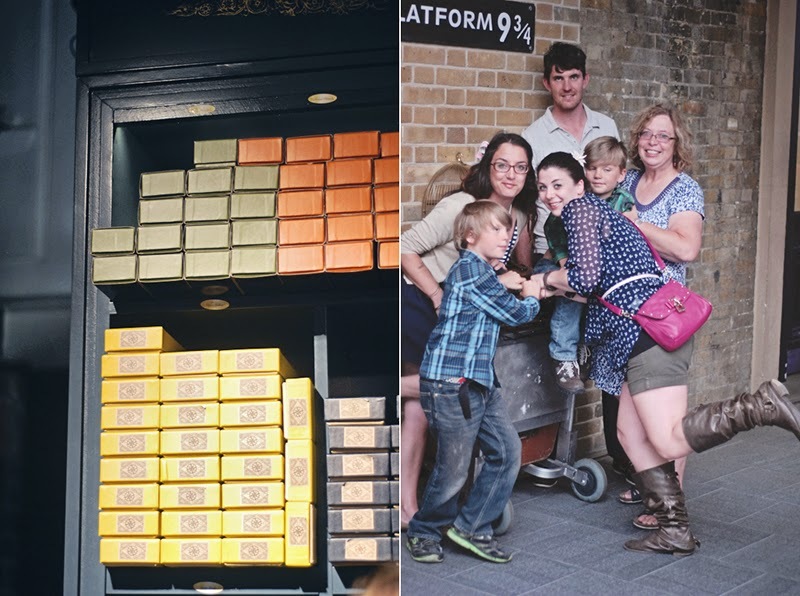 We are trying to plan a trip to Harry Potter world soon but its a three hour drive. Maybe that’s why this attraction has become so big with the opening of the studio tour. It still looks like you had some fun though! This is awesome! 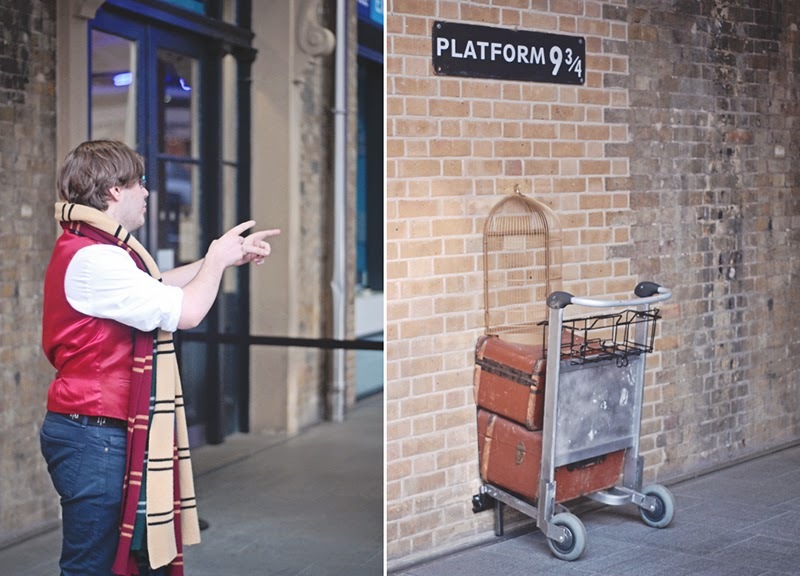 The amount of times I have been to London and I still haven’t done this, going to put it on the agenda for Christmas! Oh my God, these photos are so so awesome! I think you picked a great angle considering how tight your space was. Shame about the official “professional” photography shots. I haven’t done any Harry Potter tour. I think its something fun to do next time in Lonfon. Can’t wait to see your post of the next HP tour. Hi Bonnie! 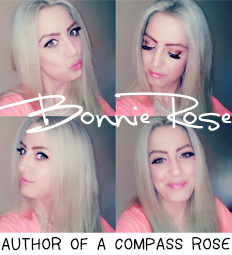 I have an award waiting for you over at http://lookingforgab.blogspot.com! 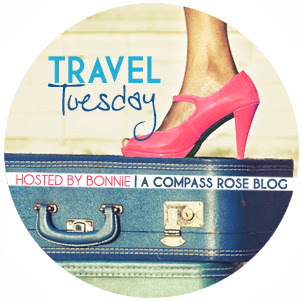 Also entered one of my past travel entries on your linkup! Wish I could visit this place too! Aww man, it’s so disheartening that they’ve made it so commercial and touristy! 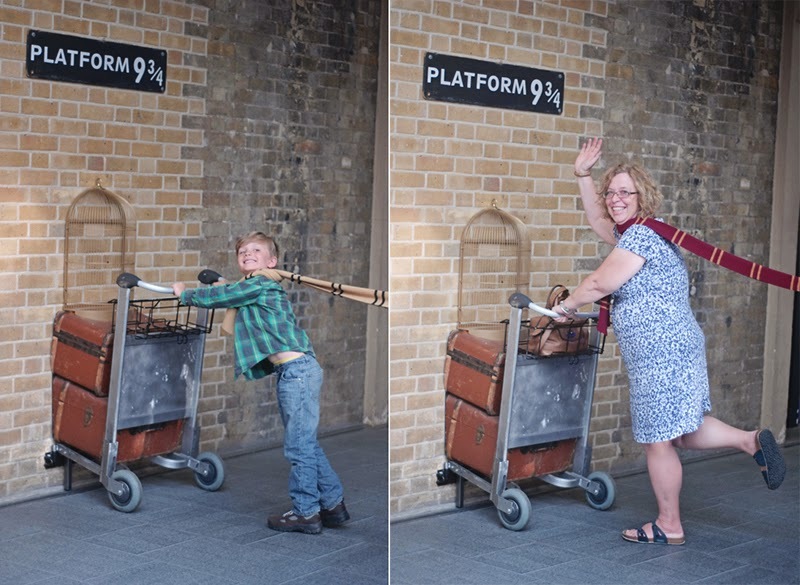 I haven’t been but it’s been high on my ‘must visit’ list for a long time now… I’m absolutely in love with Harry Potter. 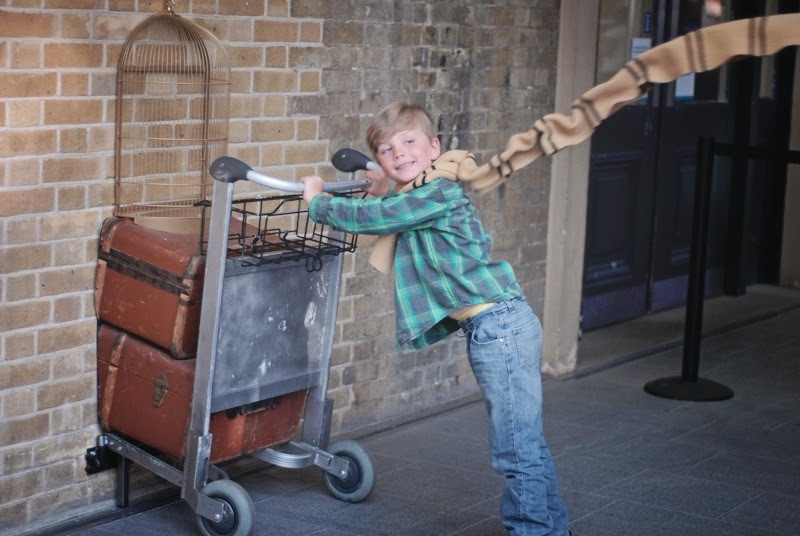 Still, you guys got some adorable shots… I love the scarf flying in the background Your photos make me want to visit even more! 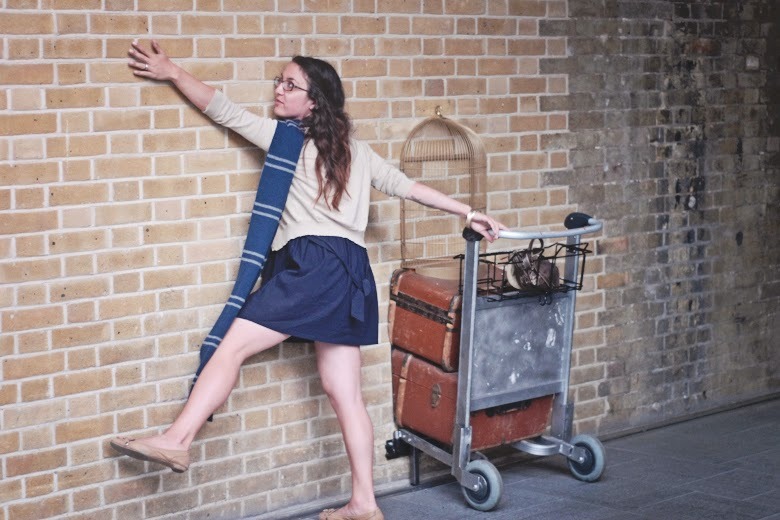 I am a huge huge huge HP Nerd and am dying to go to Platform 9 3/4!!! I am sad that the pictures having to be taken at weird angles but I would be thrilled just to be there! I have visited the platform twice but still have no shot of me with it (first time I was alone and no one else even paid any attention it it and second time the line was taking forever). I have been to the studio and IT IS TOTALLY WORTH THE HIGH ADMISSION if you love Harry Potter. I felt like a kid in candy land while I was there and posted over 140 pictures on my blog about it. Love loved loved it!! When I visited in early April, there was no one around. I even walked right by it and didn’t even know it was there. I saw the store before the Platform sign and then figured it had to be nearby. The Harry Potter Studio Tour is awesome! Expensive but awesome! I highly recommend it if you love HP! I’m visiting London around Christmas, maybe on Christmas so I’m excited for anything about London! I’m sorry that you had kind of a disappointing experience as far as the photography part went–and it’s got to be hard to see the people who’s job it is not doing the best job! this is so awesome! even if it has changed over time, the basic concept is so cool and such a fun thing for kids to be a part of! 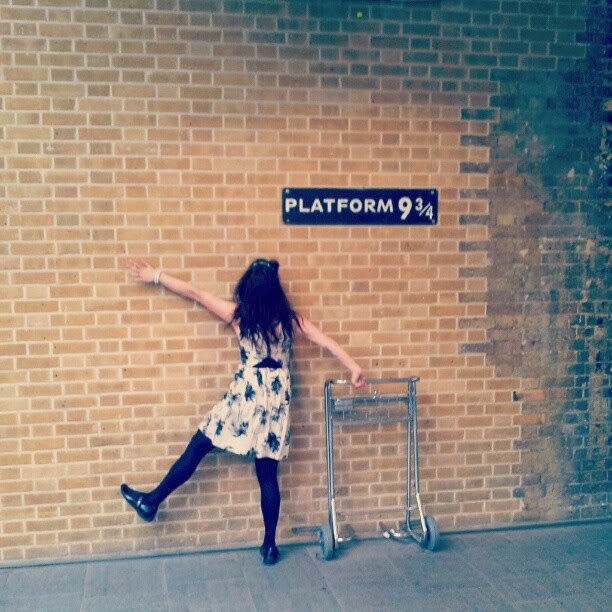 I have always wanted to go to platform 9 3/4 since reading the first Harry Potter book years ago. Please let us know if the crowds are less the next time you go. I read that they relocated the display during the station remodel. Can you have access to the area at anytime? Universal Studios has announced that they will be building a Harry Potter World at their LA park (5 hour drive for me) but I also hope to get to Orlando sooner or later to see the Hogwarts there. I look forward to reading about your trip to the London studios. Just hopping over from Girl Meets Globe and joining in the link up fun! I haven’t been to Platform 9 3/4 yet, so this is a little disappointing! I’ll have to take all this into account when we go! I am such a Harry Potter fan. I recently did the studio tour at Warner Bros. in London and it was AMAZING. It was ten times better then I thought it would be!